Recent changes in federal law have provided greater incentives for individuals to uncover and report fraud and abuse in government contracting and other violations of federal law across a wide spectrum of industries. There are tens of billions of dollars in government funds stolen each year through fraudulent conduct, and significant rewards for being a whistleblower under federal statutes that include the False Claims Act, the Dodd-Frank Act, and the Foreign Corrupt Practices Act. Individuals file these “qui tam” lawsuits on behalf of the government, providing evidence of unlawful activities, including tax evasion, health care fraud, defense procurement violations, underpayment of royalties, and brokerage firm fraud. At The Law Offices of Frank L. Branson, our attorneys encourage any citizen to take a thoughtful and educated approach when considering a qui tam lawsuit. 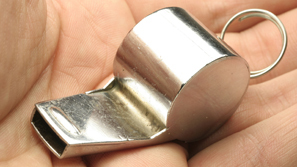 There are several important steps to follow in properly filing a whistleblower complaint, and there are broad protections that exist when these rules are carefully followed. The firm works hard to assure that the whistleblower understands each aspect of filing a claim, then our attorneys work closely with government prosecutors in properly assembling all documentation, maintaining the confidentiality of the complaint, and obtaining compensation that the whistleblower can ultimately receive from the government. To learn more about our experience in false claims act matters, we invite you to contact the firm here.